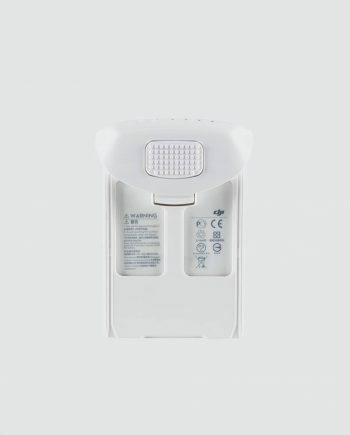 Obstacle sensors enable the Phantom 4 to sense and react to its environment. 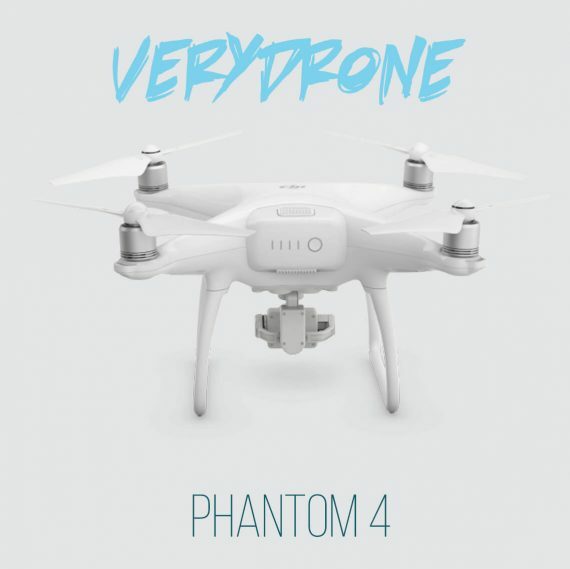 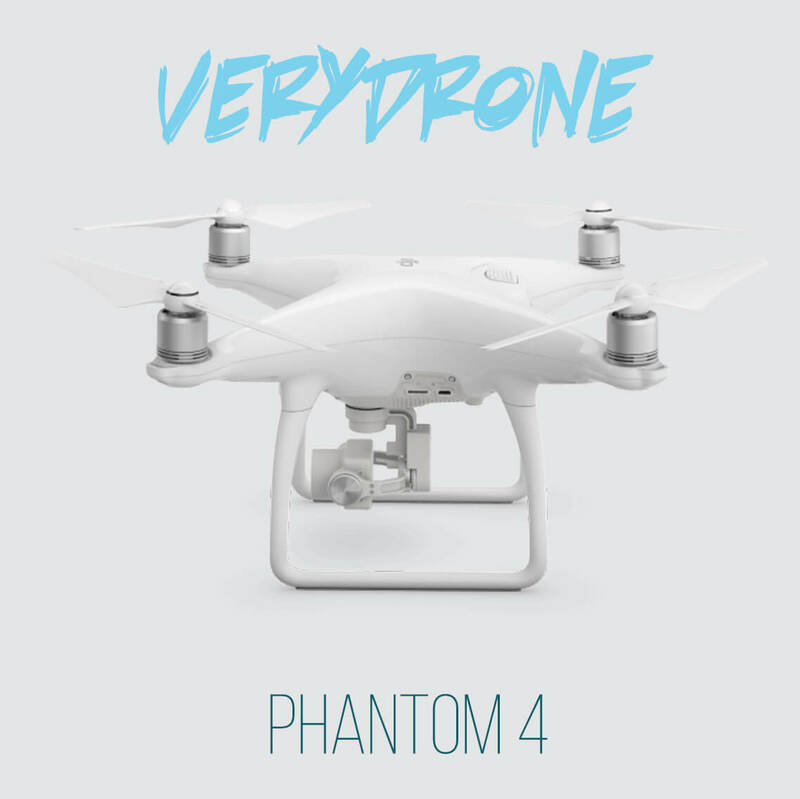 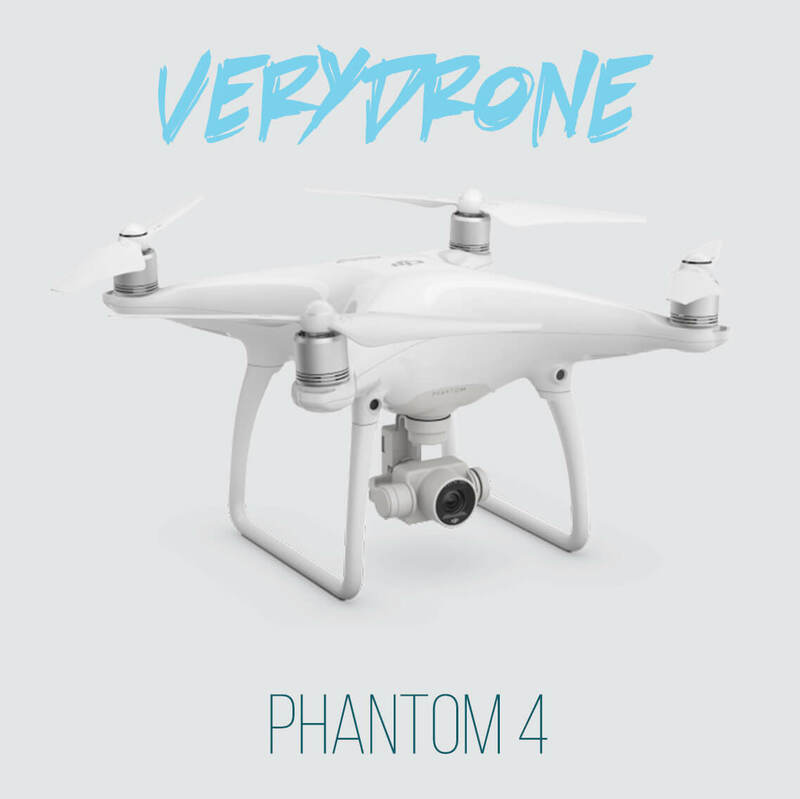 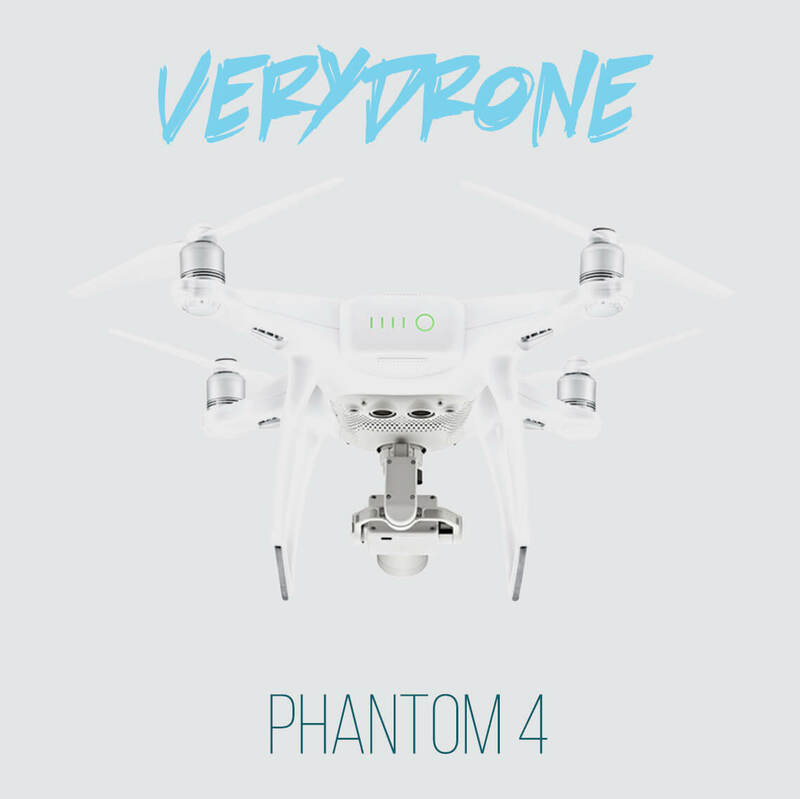 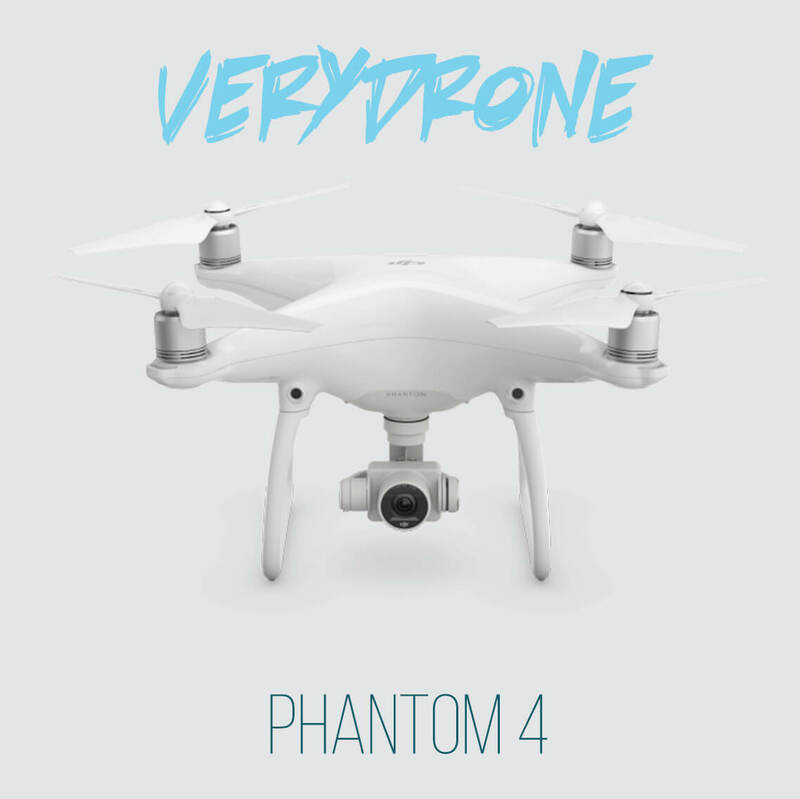 Simply tap on the screen to fly the Phantom 4 in the direction you want. 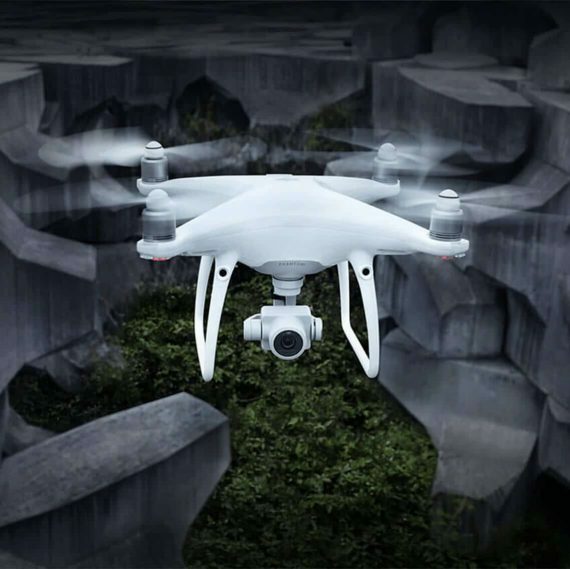 It will avoid obstacles in its path. 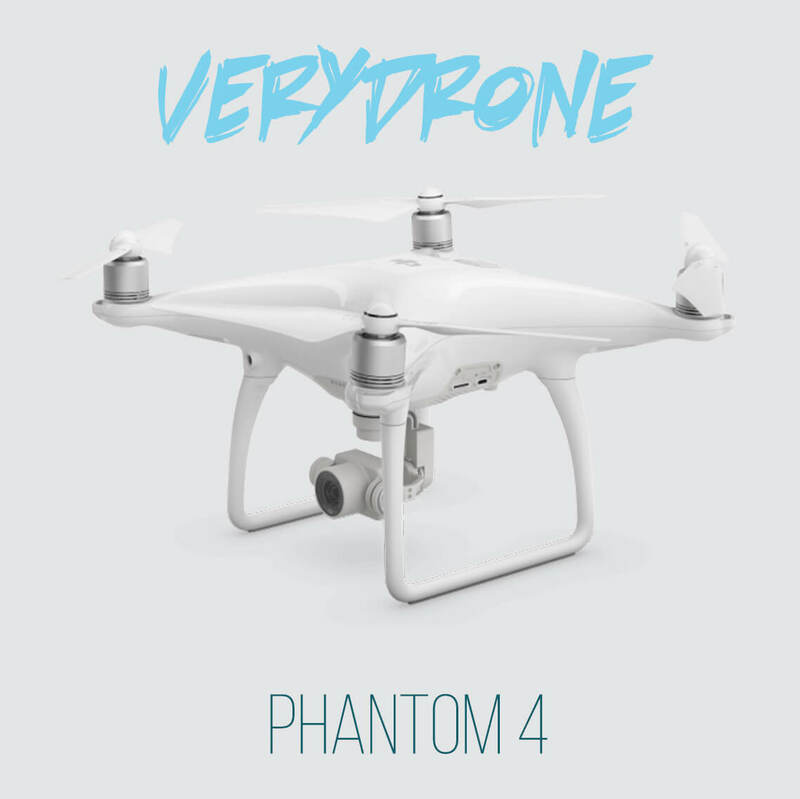 Lock on to your subject and track them as they move, let Phantom 4 take care of everything. 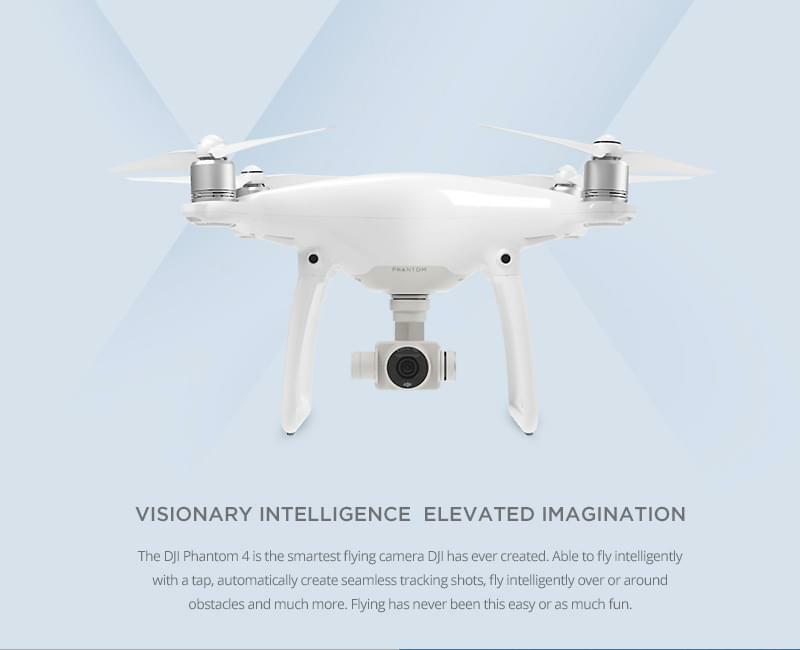 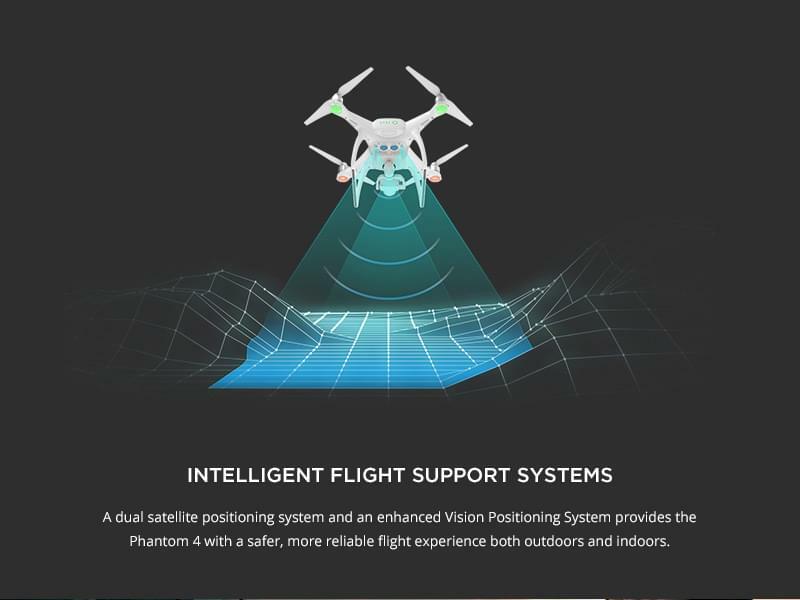 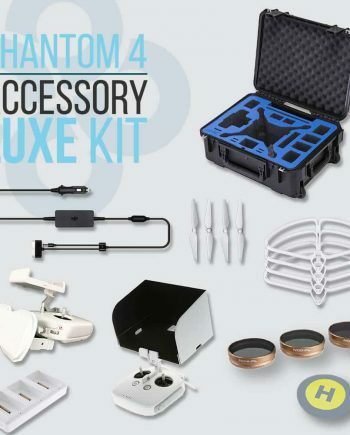 A dual satellite positioning system and an enhanced vision positioning system provides the Phantom 4 with a safer, more reliable flight experience both outdoors and indoors. 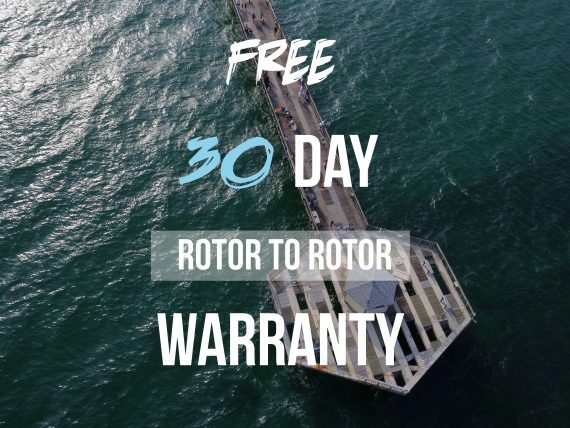 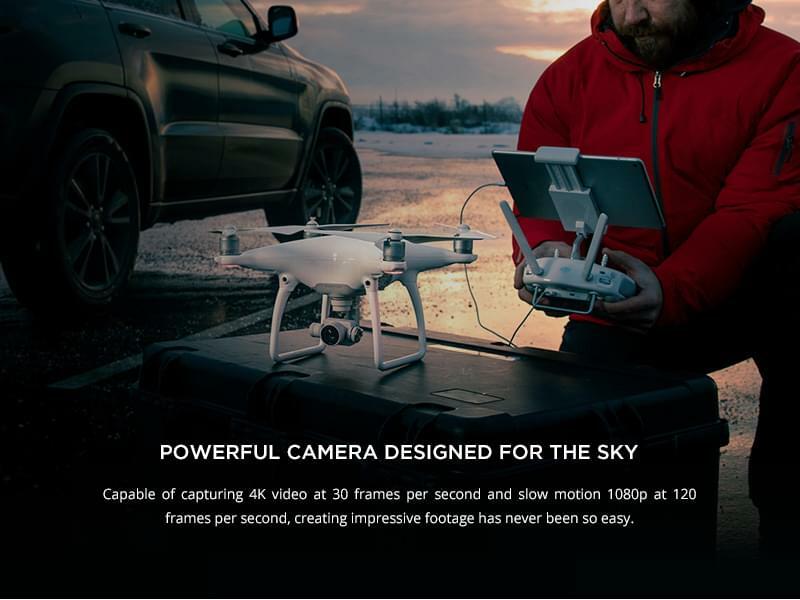 Capable of capturing 4K Video at 30 frames per second and slow motion 1080p at 120 frames per second, creating impressive footage has never been so easy. 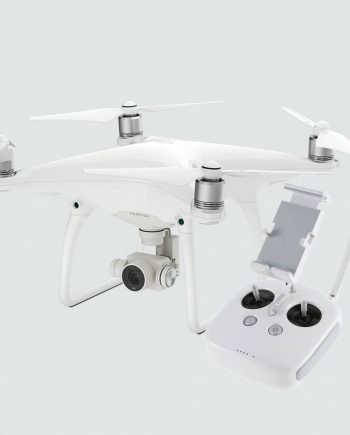 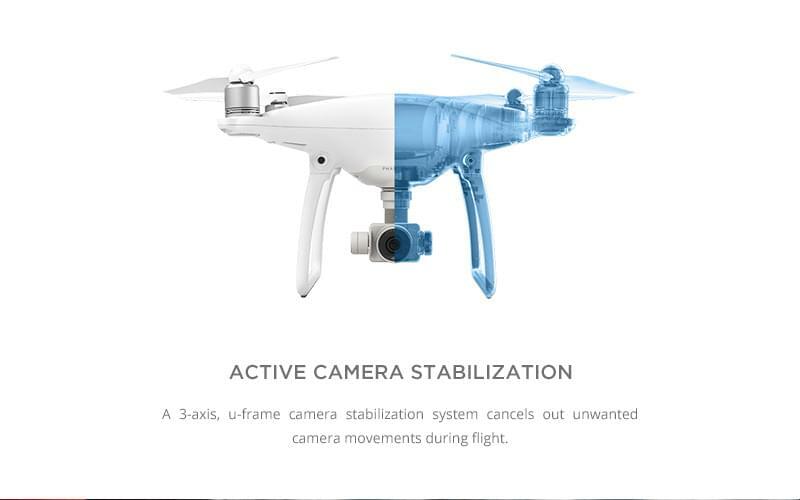 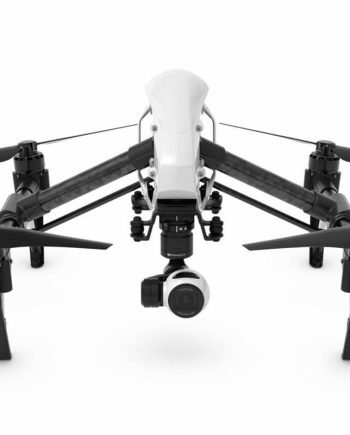 A 3 axis, u-frame camera stabilization system cancels out unwanted camera movements during flight. 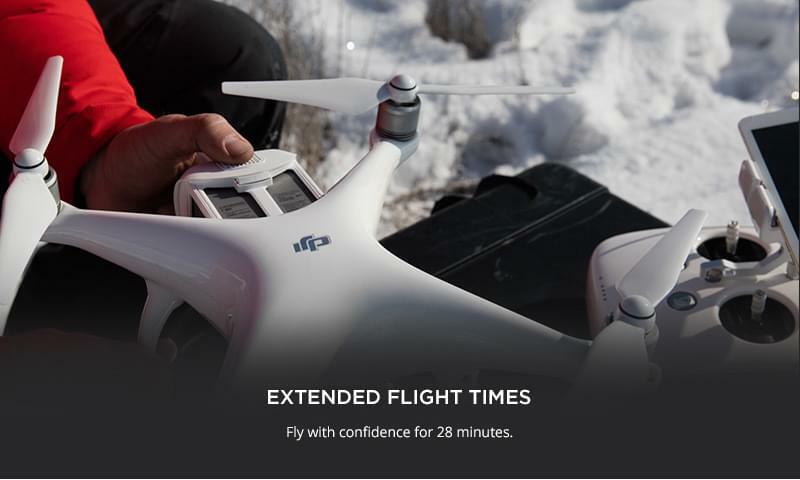 Fly with confidence for 28 minutes. 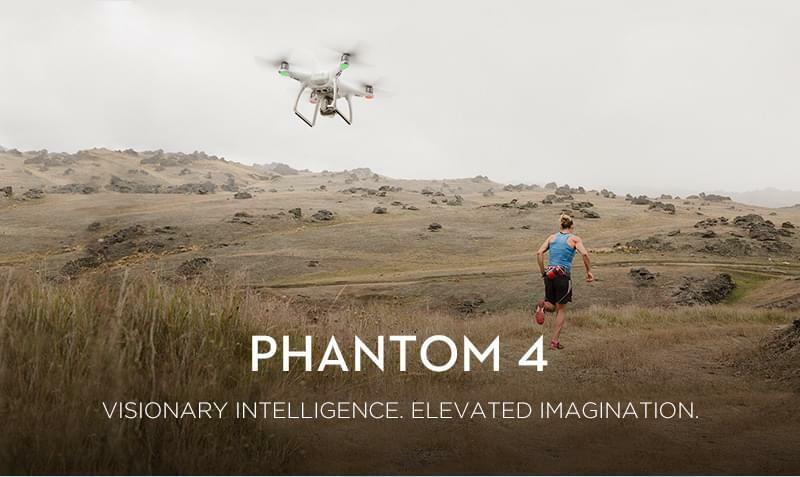 See what the camera sees in 720p HD from up to 3.1 miles (5km) away with the Phantom 4’s integrated HD video downlink. 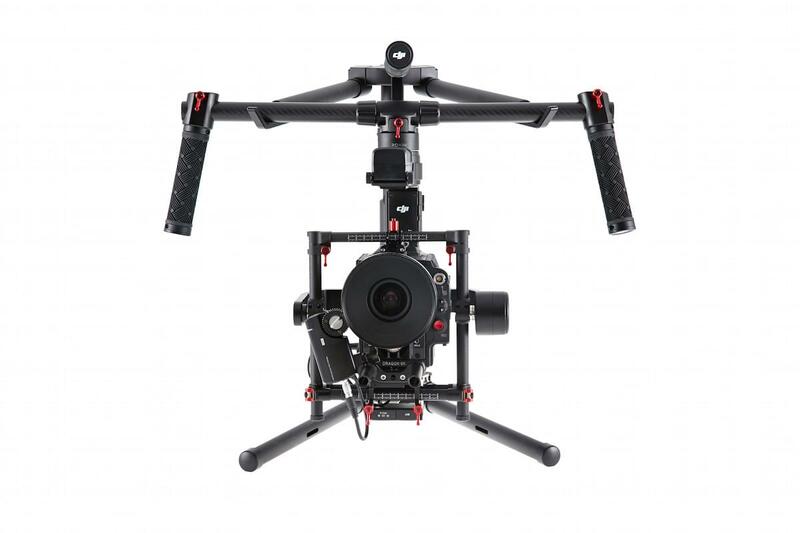 Frame up your shot from far away with perfect precision. 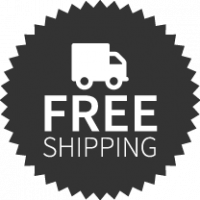 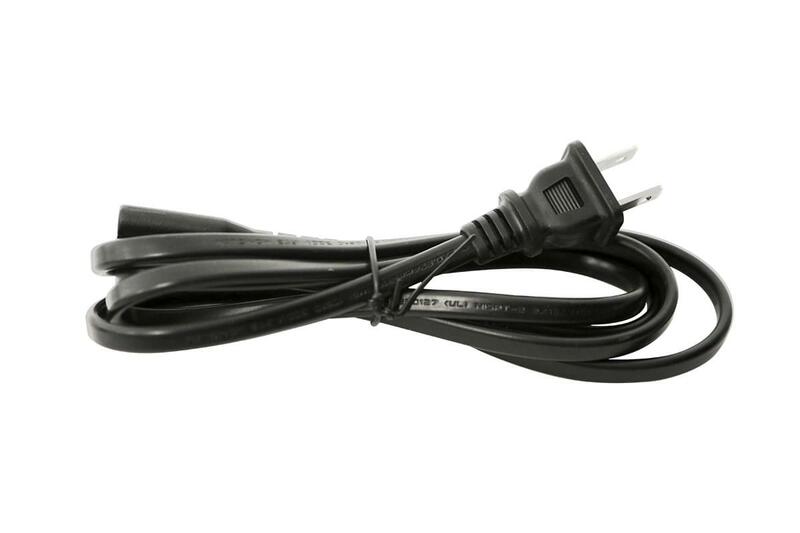 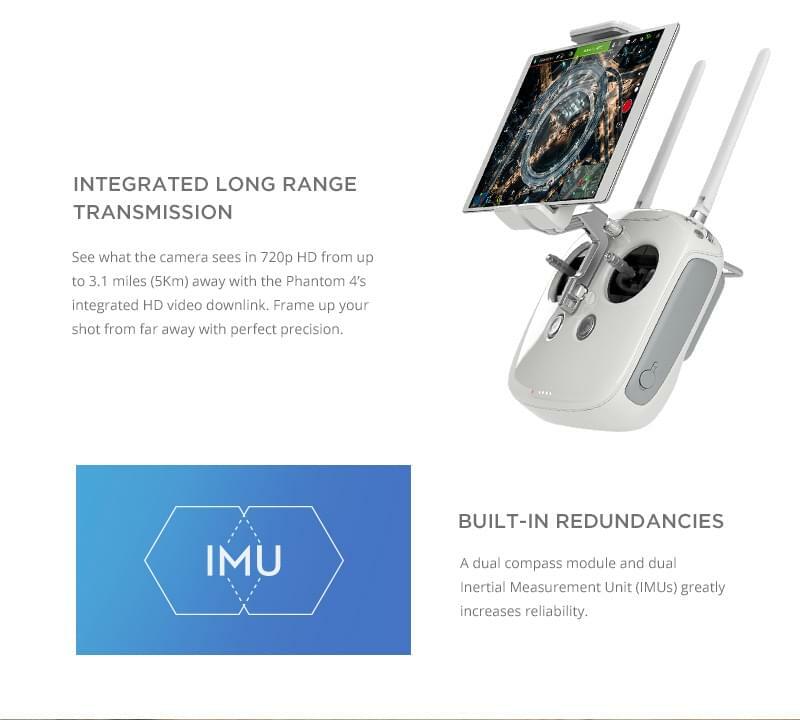 A dual compass module and dual inertial Measurement unit (IMUs) greatly increases reliability. 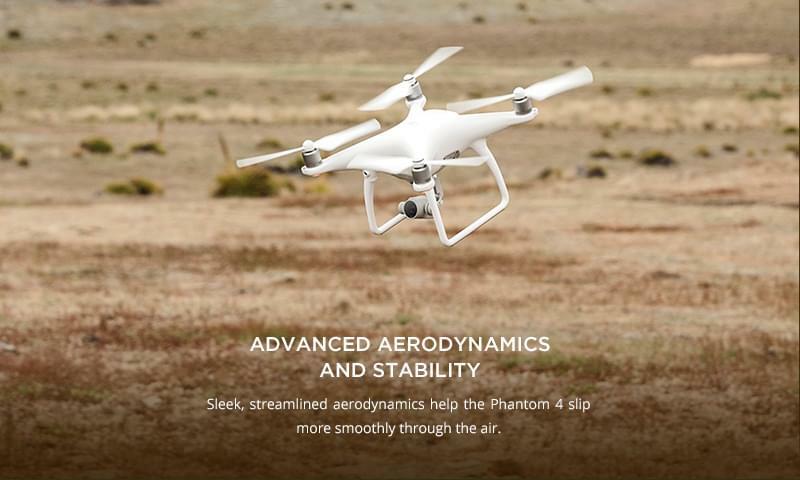 Sleek, streamlined aerodynamics help the Phantom 4 slip more smoothly through the air. 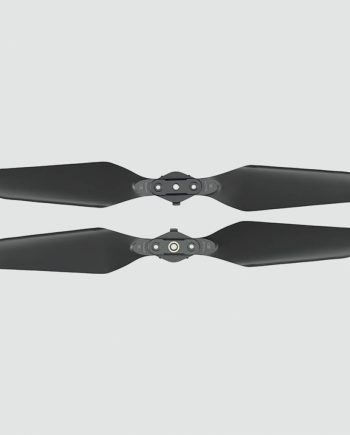 A newly designed push-and-release prop mounting mechanism locks props in place with a push and a twist while adding extra security in flight. 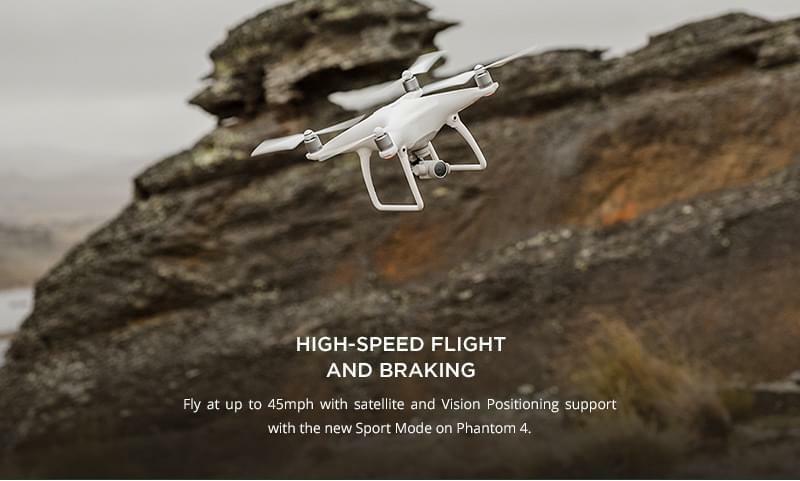 Fly at up 45mph with satellite and vision positioning support with the new sport mode on Phantom 4. 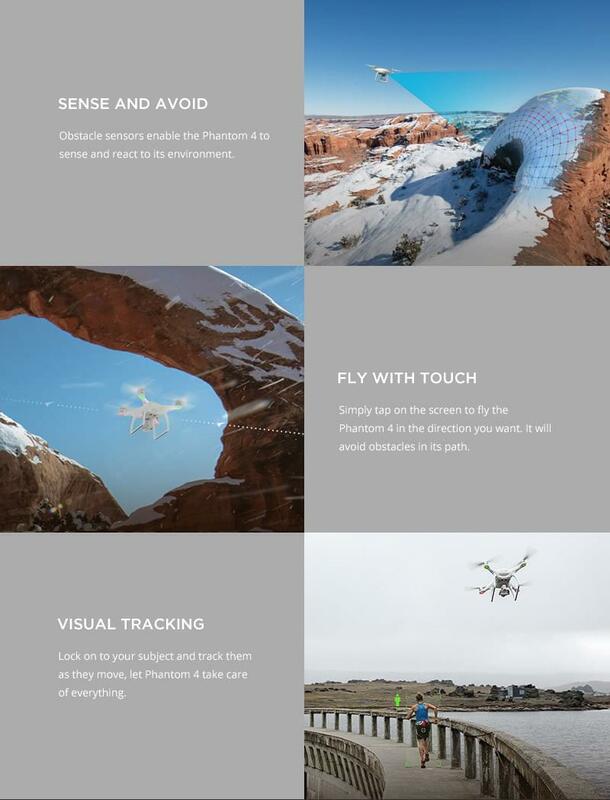 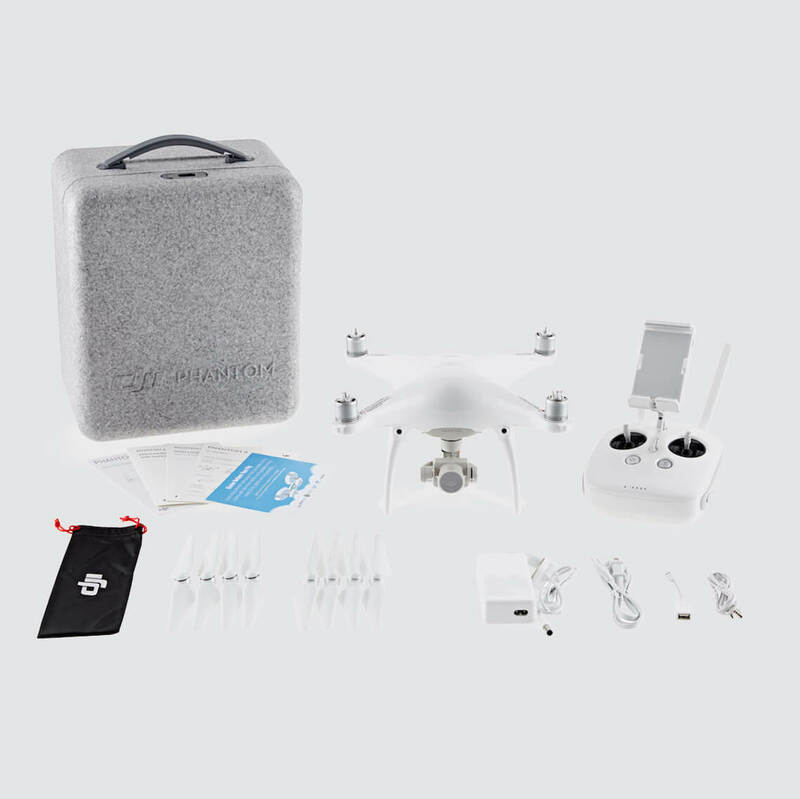 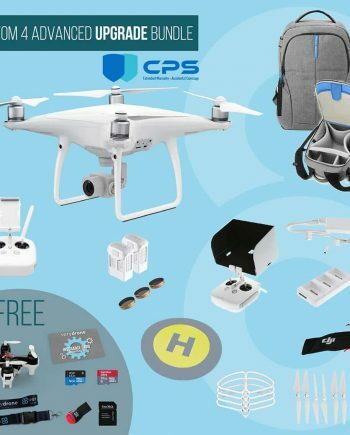 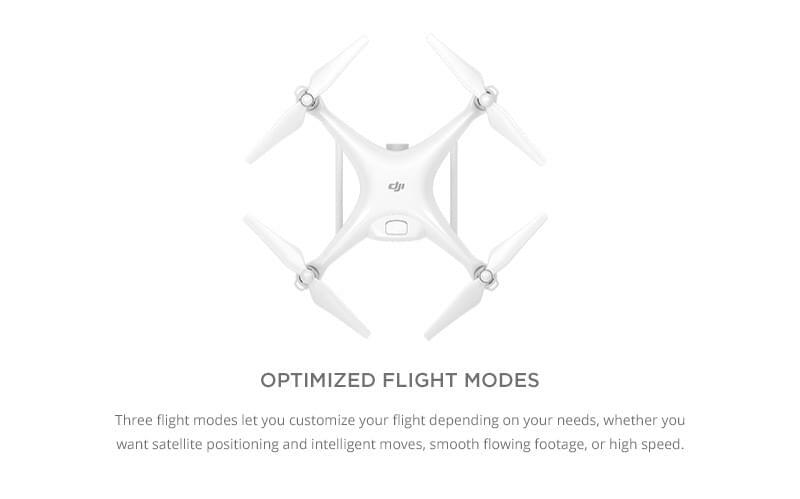 Three flight modes let you customize your flight depending on your needs, whether you want satellite positioning and intelligent moves, smooth flowing footage, or high speed.